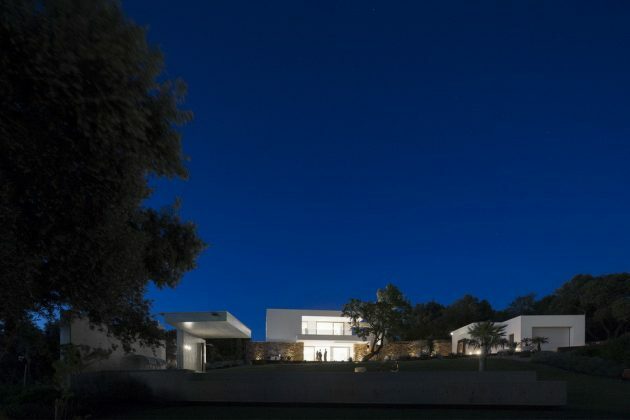 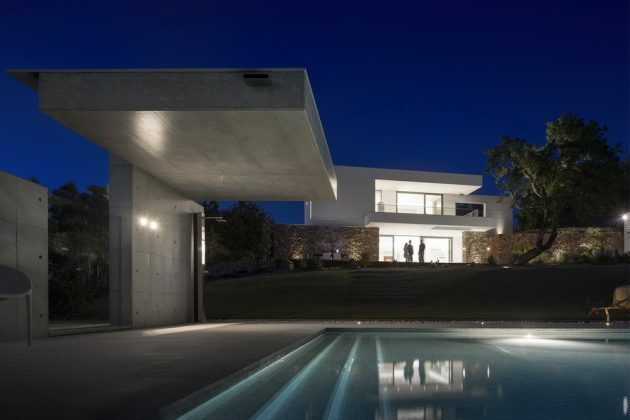 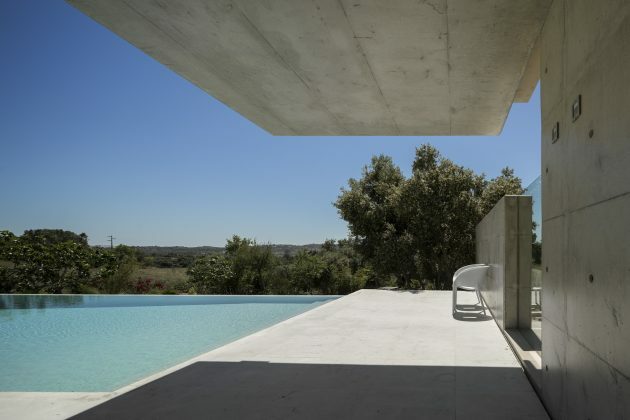 The Malaca House is a wonderful contemporary residence set in Lagos, Portugal. 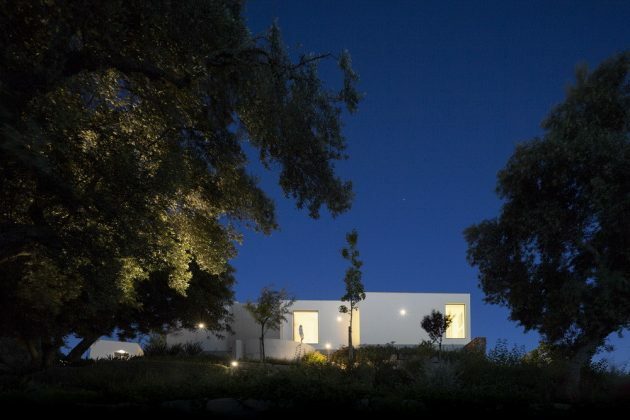 It’s design was completed by Mario Martins Atelier, a studio whose Zauia House project was recently showcased on our site along with many others. 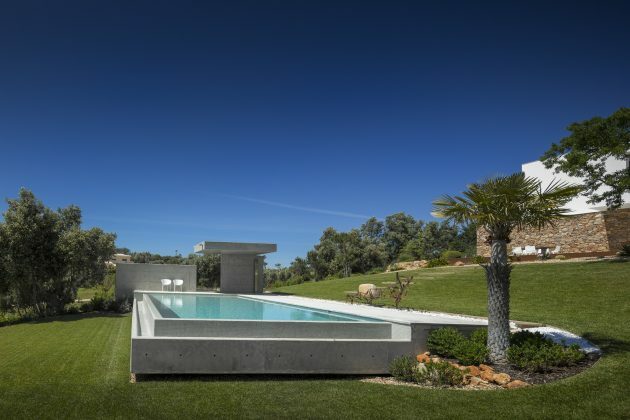 The Malaca House is a very luxurious home that is decorated with a huge landscaped outdoor area and a beautiful infinity swimming pool. 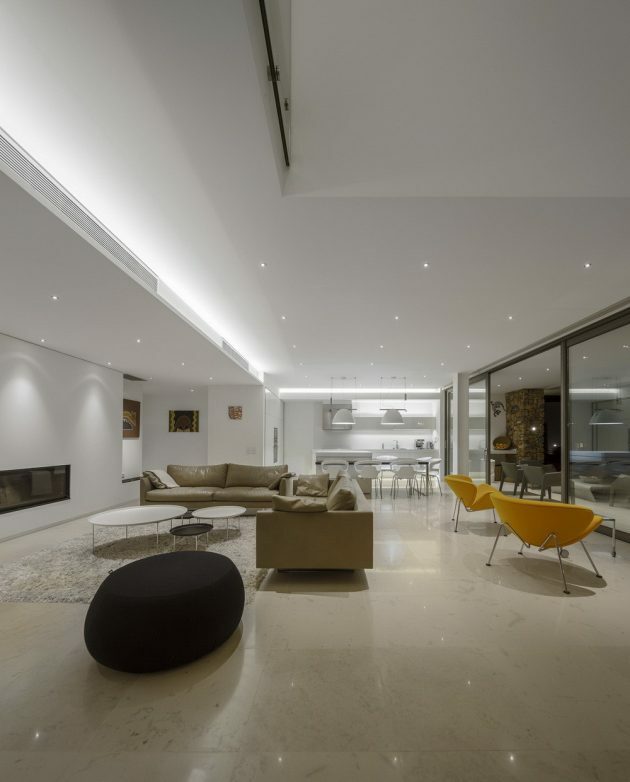 Its interior design makes use of the minimalist and open floor plan principles to create a stunning living area. 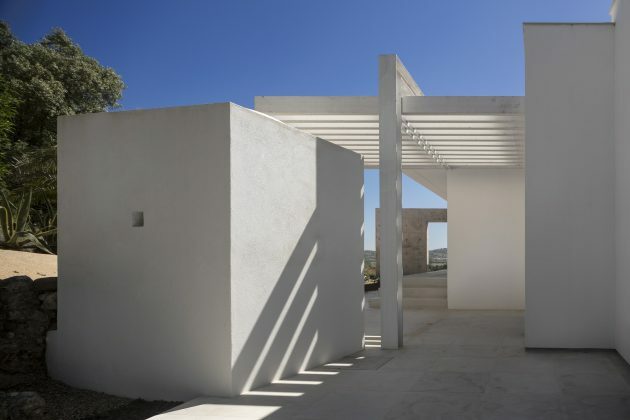 The design of this new house was based on a pre-existing, somewhat uninteresting construction which was not fit for habitation, although it did have interesting stone walls. 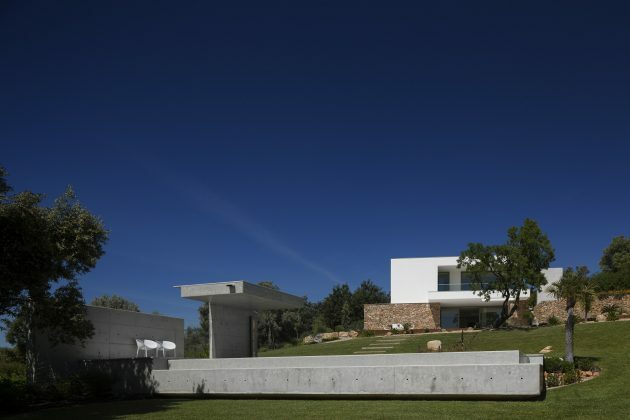 The main floor of the house sits on a stone wall, on the upper part of the land. 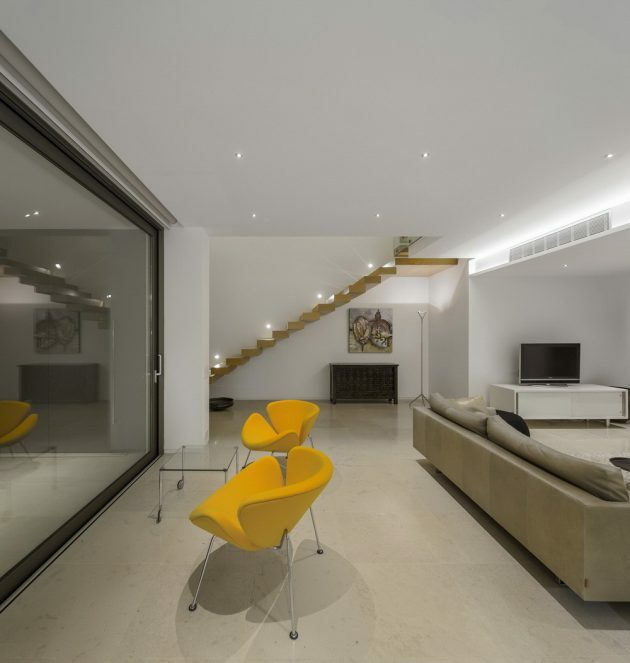 This has three bedrooms and an office which is reached through a generously lit corridor. 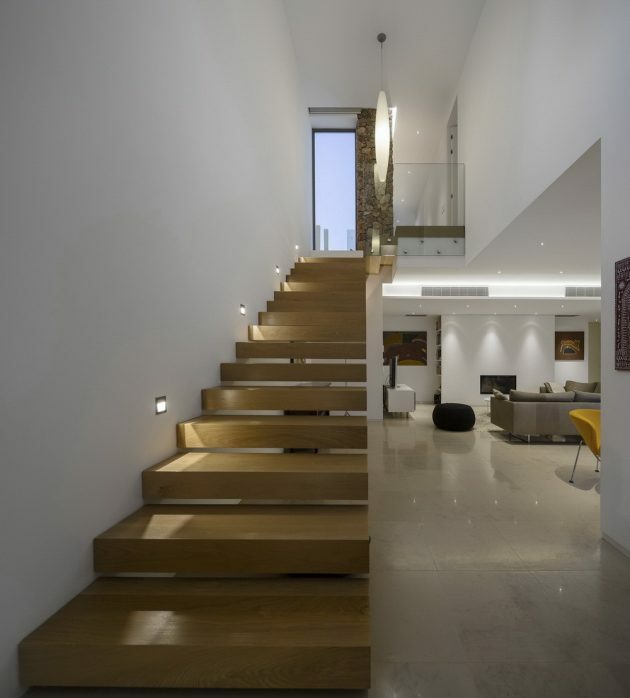 A lower space rises naturally from the natural characteristics of the physical support, “sandwiched” by the stone wall, where there is the main entrance to a full-height area, with a living room next to an open kitchen. 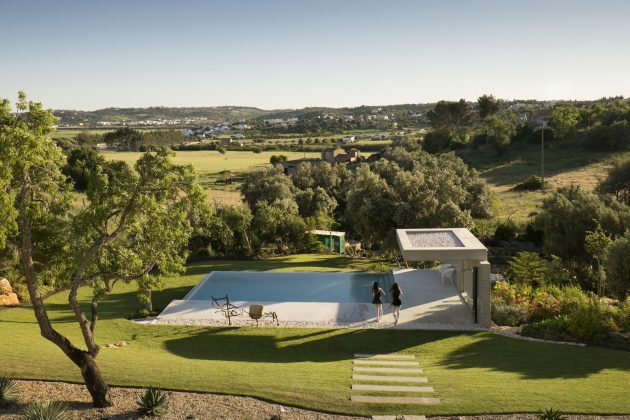 This communal area opens out to a glass wall that goes down to the ground with a view of the countryside, which still has a rural atmosphere. 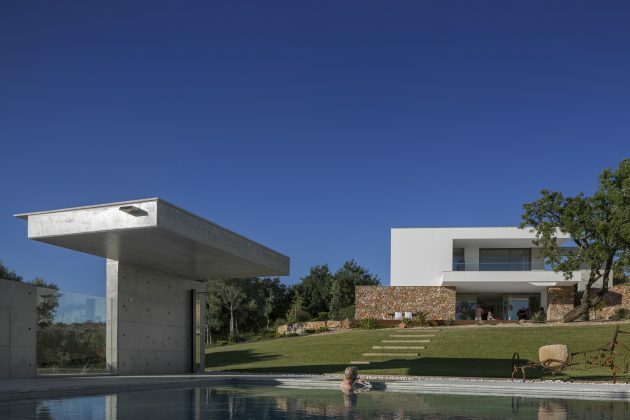 The house has been redesigned with a contemporary language, but using a scale, forms, elements and materials present in the local architecture. 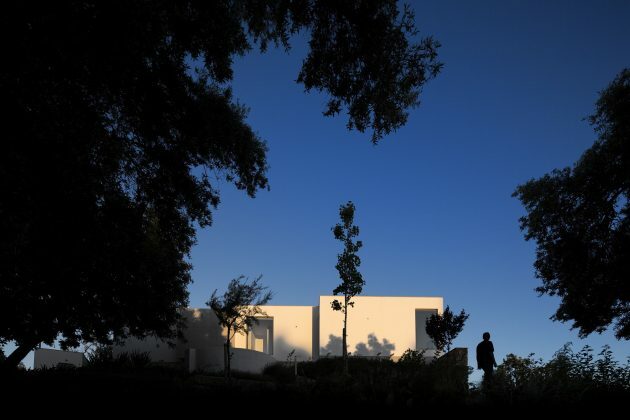 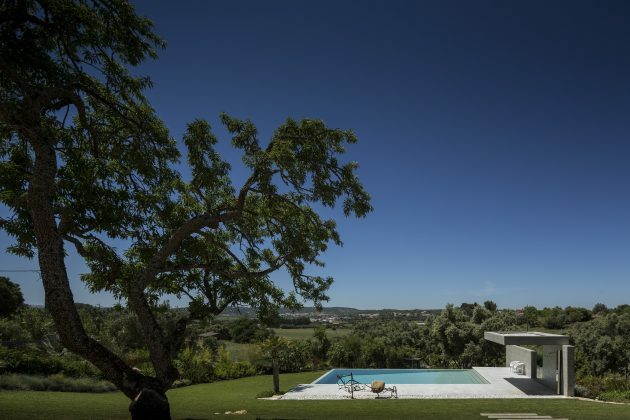 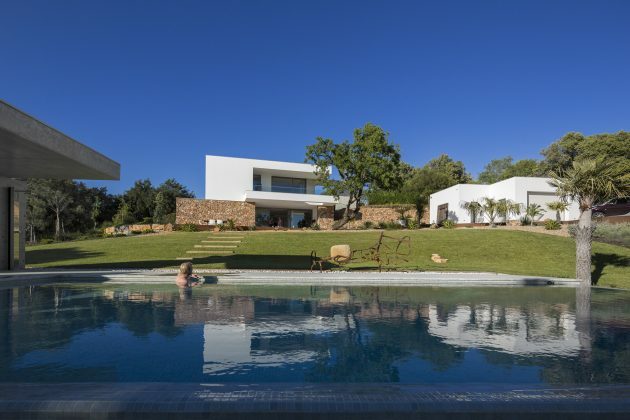 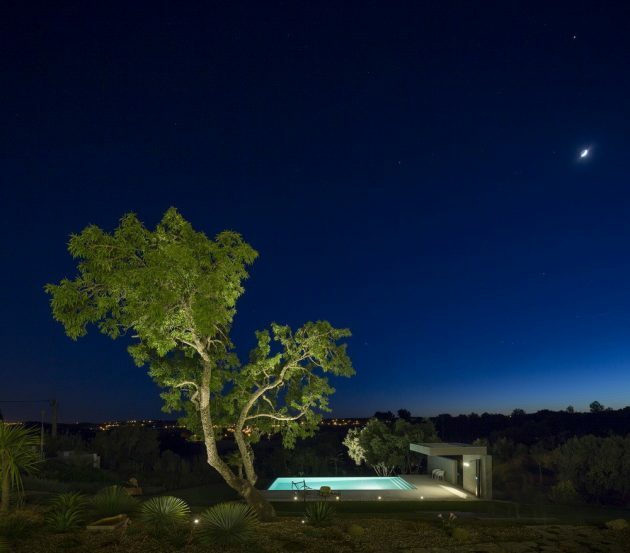 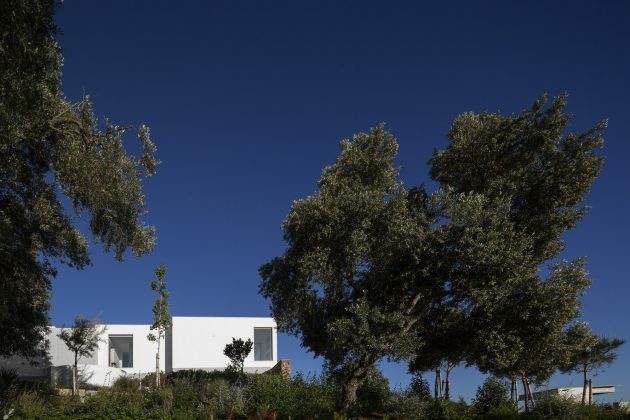 The intention is primarily to reach a compromise between the vernacular architecture and a modern design, which is simple with a quiet presence and where the natural vegetation, of almond and carob trees typical of the Algarve countryside, predominates. 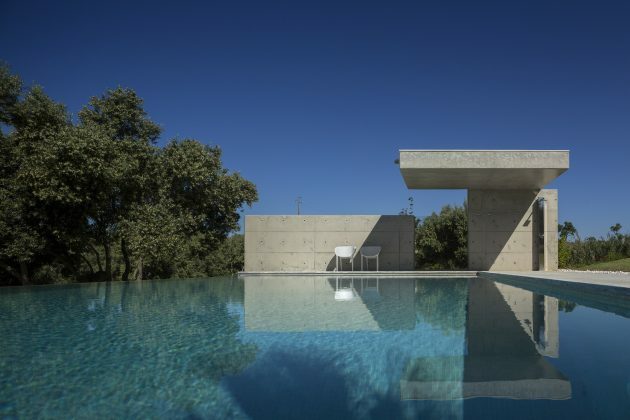 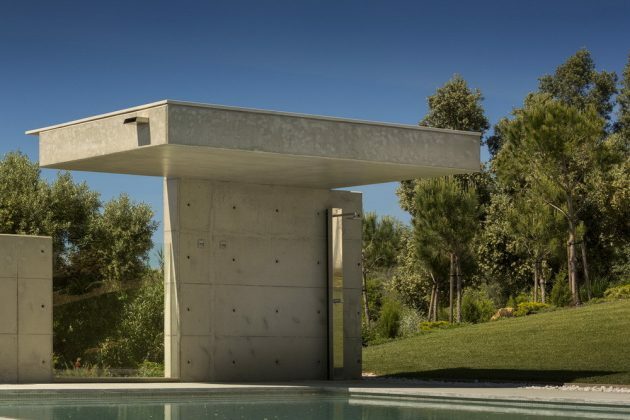 And so the forms are discreet and the materials are natural: the stone on the walls and all the floors, the visible concrete and the white walls that reflect the intense and constant Algarve sun.